Ships today if you order in the next 4 hours 55 minutes. Auto Ship & Earn + 145 Points What's this? Think you can't have moisture and great makeup? Think again. Give your face a perfect coat of moisture for beautiful and flawless makeup application with the BeautyPrep Face Moisturizer from jane iredale. 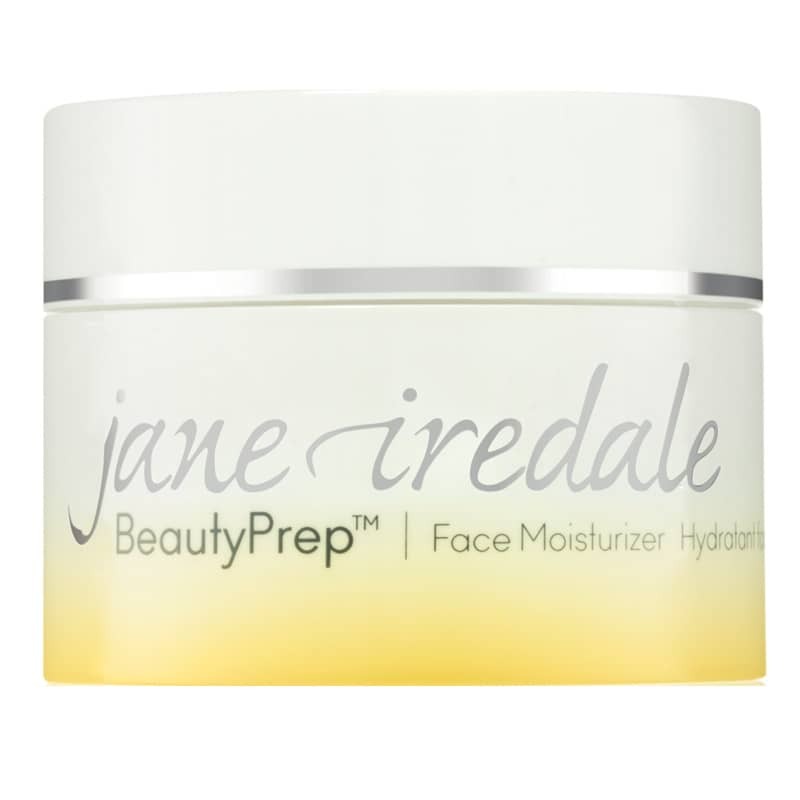 Part of jane iredale's BeautyPrep high-performance skin care line, the BeautyPrep Face Moisturizer is a great step for preparing your skin for makeup application. This daily moisturizer is designed to moisturize without leaving a greasy residue to help makeup go on smoother and last longer. Made with four organic Rose Stem Cell Extracts, the BeautyPrep Face Moisturizer helps to moisturize, brighten and protect skin from trans-epidermal water loss and airborne pollutants. And scented with organic lemon grass extract, it's the perfectly pure and fresh way to moisturize before applying jane iredale's mineral makeup. For the ultimate prep routine, use the BeautyPrep moisturizer along with jane iredale's BeautyPrep Face Toner and Face Cleanser. Get the most out of your makeup. Order your BeautyPrep Moisturizer today!